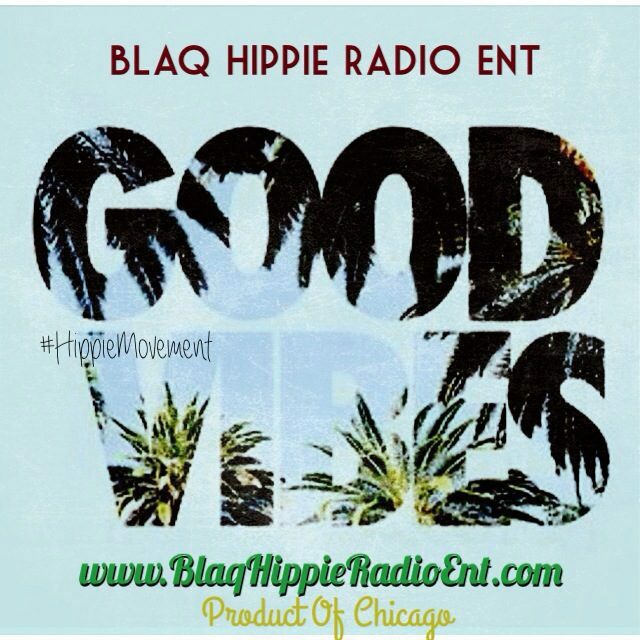 Black History Month | Blaq Hippie Radio Ent. MERRILLVILLE — A suspect accused of entering a car dealership armed with a knife Wednesday is dead following an officer-involved shooting at Art Hill Ford Lincoln dealership on U.S. 30, authorities have confirmed. The 30-year-old man was identified Wednesday afternoon by the Lake County Coroner’s office as Jimmy Terry, of Sioux Falls, South Dakota. Griffith Police Chief Greg Mance, a spokesman for the Northwest Indiana Major Crimes Task Force, said the task force is investigating the shooting that involved Merrillville police. Merrillville police were called out at 11:38 a.m. to Art Hill Ford Lincoln, 901 W. Lincoln Highway, after receiving a 911 call that a man was armed with a knife and “chasing an employee” inside the dealership, Mance said. As officers arrived, Mance said they received updated information from 911 dispatch that Terry had entered a dark colored Jeep, believed to be his own, in an attempt to leave the dealership. Mance said he has received some preliminary information that Terry allegedly demanded keys to a vehicle when he entered the dealership. 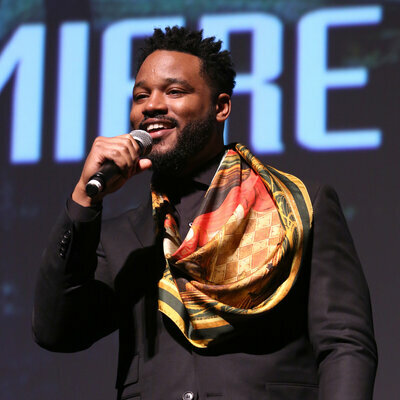 A traffic stop was conducted, during which Terry was shot by police, Mance said. In an effort to preserve the integrity of the investigation, Mance declined to say what factors led to the police-involved shooting, saying there were several witnesses who are being interviewed. Mance confirmed Terry was armed with a knife when he was shot. He was taken to Methodist Hospitals Southlake Campus in Merrillville, where he was pronounced dead. The coroner’s office said Wednesday afternoon Terry died from gunshot wounds in a homicide. He was pronounced dead at 12:12 p.m. at the hospital. Officers with the task force, the Merrillville Police Department and Lake County Sheriff’s Department gathered at the scene just after noon Wednesday. A dark-colored Laredo Jeep with a South Dakota license plate was parked in front of the dealership entrance. At least one shell casing and several other items were identified at the scene with yellow evidence markers. Merrillville Police Chief Joe Petruch said two Merrillville officers are on paid administrative leave as the investigation continues, per department protocol. For one, like, this medium of superhero films and this blockbuster medium, it’s just myth-making but on terms that are current. That’s why these movies make a lot money. That’s why people talk about them, you know what I mean, people dress up as them. You look at any society in any period of time, they had their version of how they did their myth-making. 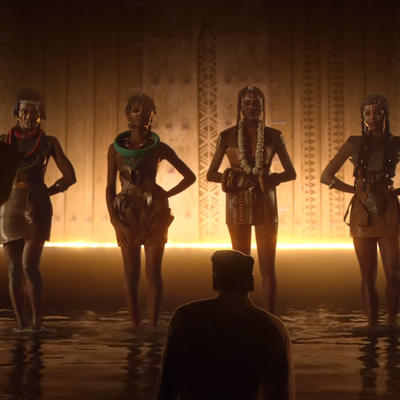 Whether it was vaudeville, whether it was plays, whether it was on the plains of Africa … and it was griots, you know, beating the drum and telling stories. That was their version of myth-making. 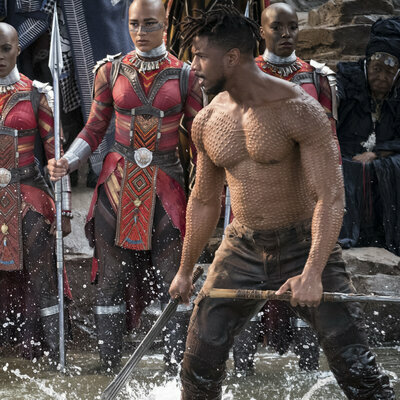 Right now, it’s these big, huge, large-canvas films that you go see in IMAX, that you go see in 3-D.
You look at any society in any period of time, they had their version of how they did their myth-making. Whether it was vaudeville, whether it was plays, whether it was on the plains of Africa … Right now, it’s these big, huge, large-canvas films. And there’s a massive audience — not just of people of color but everybody — who wants to see different perspectives in this myth-making. They want to see something fresh, they want to see something new, but also feels very real. You walk around in this world, and you see people who look like me — all the time. I’m from the Bay Area man, where we’ve got a very successful basketball team right now. The Golden State Warriors run out there, run up and down the court, [and] it’s a bunch of black dudes. But everybody in the stadium — even though it’s in Oakland — there’s very few black people in that stadium. But everybody’s wearing they jerseys and experiencing the emotions that they feel. You know, when Steph Curry hits a shot, it’s a little white kid or a little Asian kid in there that feel like they just made the shot. 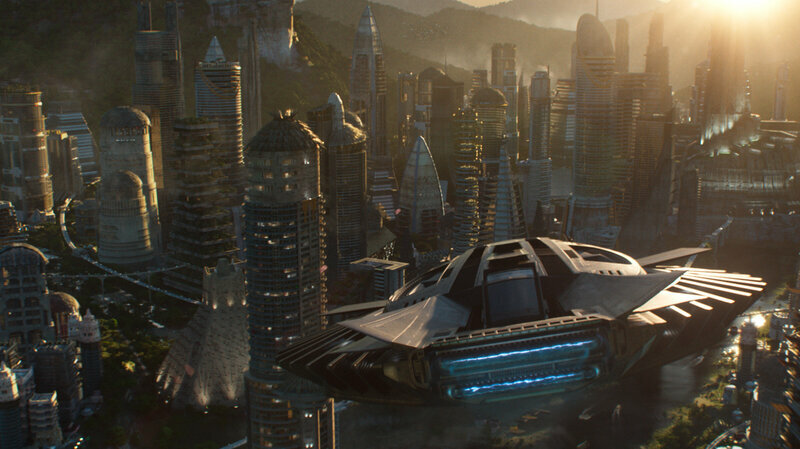 The Talon Fighter flies over Wakanda in Black Panther. 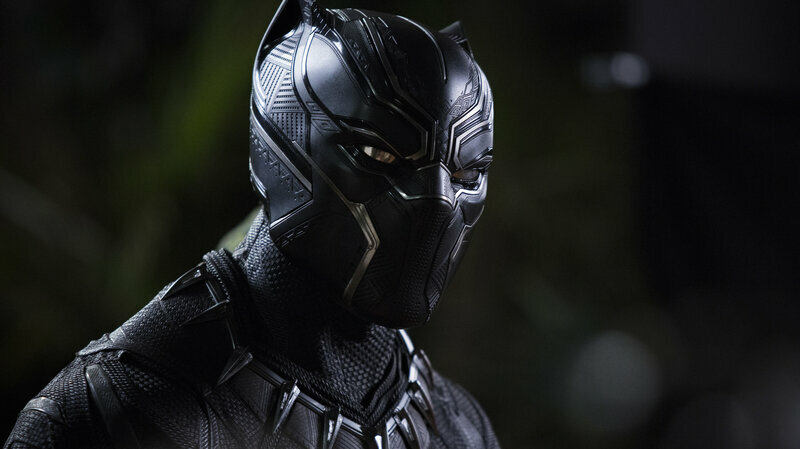 Stan Lee and Jack Kirby, who invented the character and invented Wakanda, they were two Jewish-American artists who were in the States — in New York — and pulling from the things that they were seeing around them to make these stories. 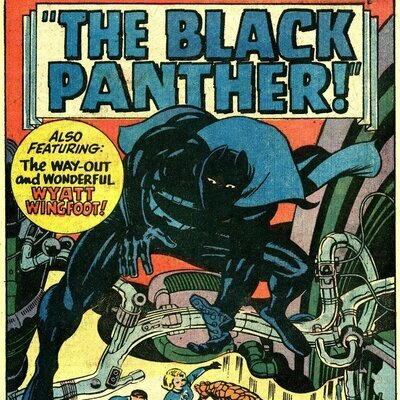 I’ve met Stan Lee, and I know that he was tapping into the zeitgeist, purposefully, of what he saw African-Americans and people all over the world going through. He kind of came up with this pulpy concept, and … when you really think about it, man, it is something that’s based on circumstance. Like it’s fiction, that has base in reality. Africa’s a continent that’s known for its resources, you know. 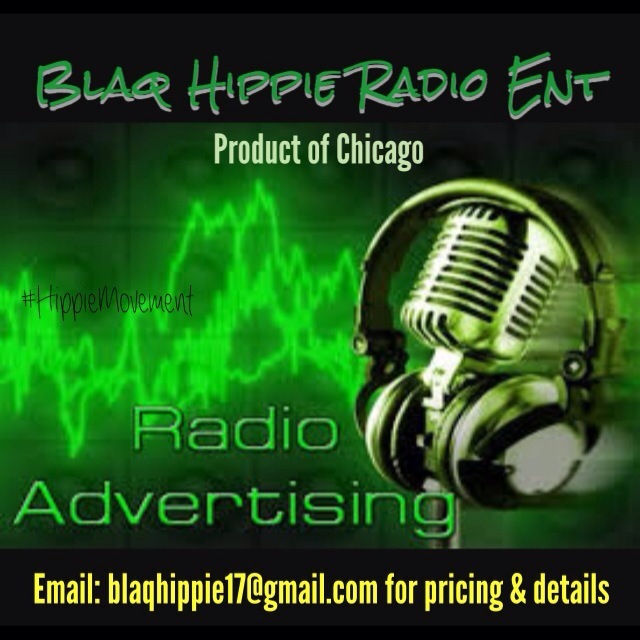 It’s very rich in terms of any kind of resource that you can get out of the ground that has value. You’re going to find it in abundance somewhere on that continent, whether it’s oil, whether it’s rubber, whether it’s gems or precious metals. 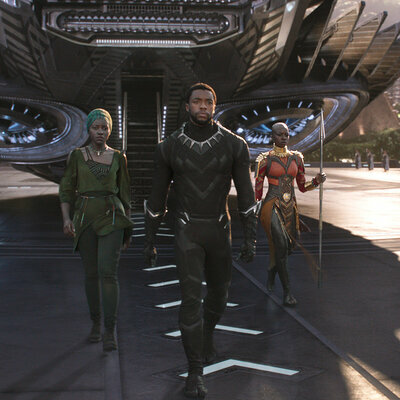 L to R: Chadwick Boseman as T’Challa/Black Panther and Nakia (Lupita Nyong’o) in Black Panther. I think perspective is everything — perspective and proximity to whose story you’re watching, it’s one of the gifts that cinema has. Like for me, I never left the country until I made a film that got into a festival that was outside the country. How I used to travel was through watching movies, and I like the movies that put me right on the ground. I like City Of God, I like Un Prophete, you know, these films that put you like right in the zone. You’re experiencing it with the people who it’s about. Yeah, I mean I think intimacy can be achieved in a film on any budget. I feel, personally, like I have some of my most intimate scenes I’ve ever made in this movie. You know, I just want to make films that resonate with me, that are interesting to me, that deal with themes that I’m passionate about. Like, I mean this movie brought me closer to my roots. 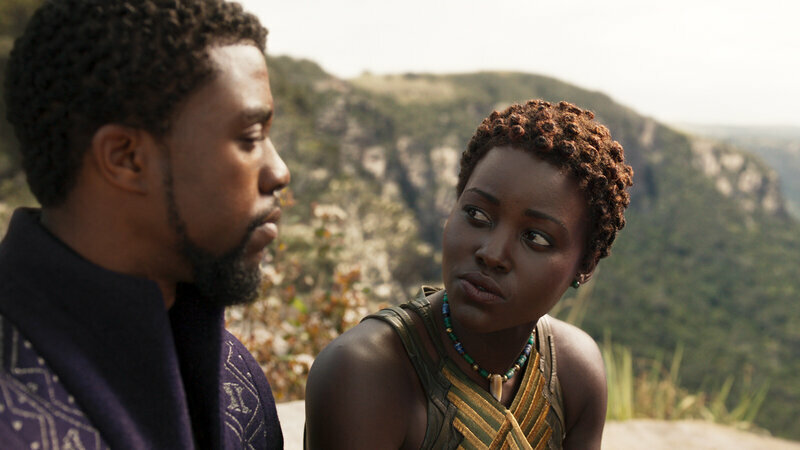 This movie took me to the continent of Africa, which is somewhere I wanted to go since my mom and dad sat me down and told me I was black, you know what I mean? So I hope to make movies that’ll challenge me as an artist and as a person. That’s really what I hope to do. Colin Kaepernick named Man of the Year by GQ Magazine. GQ Magazine named its “men of the year” this morning, with former NFL quarterback Colin Kaepernick receiving the honor of Citizen of the Year. The magazine released the cover featuring the four “new American heroes,” including Kaepernick, late night host Stephen Colbert, NBA star Kevin Durant and actress Gal Gadot. Colin Kaepernick signs $1mill book deal. 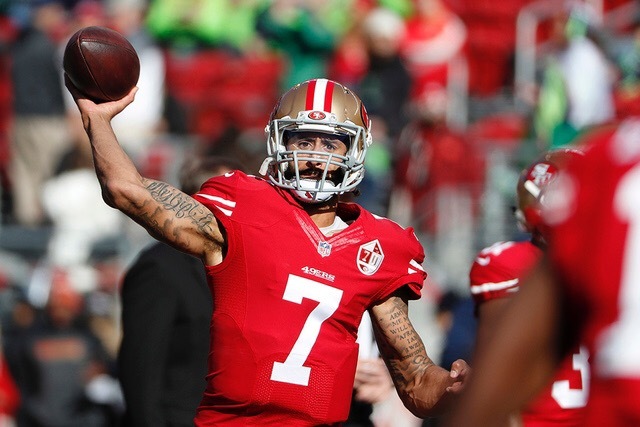 Colin Kaepernick signs $1M book deal. Colin Kaepernick, the NFL player at the forefront of protests that have swept the league and raised the ire of President Trump, has signed a book deal, Page Six reported. The deal, reportedly worth just over $1 million, is with One World, an imprint of Random House. Further details on the book were not immediately available. Kaepernick, who led the San Francisco 49ers to a Super Bowl appearance in 2013 and has been a free agent since March, filed a grievance earlier this month against NFL owners, accusing them of colluding to keep him out of the league in retaliation for his outspoken views on social issues. Kaepernick was the first NFL player to take a knee during the national anthem before games during the 2016 season. Kaepernick said he was protesting police brutality and racial injustice, and pledged to donate $1 million to charitable causes. Players across the league began taking part in demonstrations during the national anthem, with some taking a knee, some raising a fist and others linking arms. The issue of players protesting was thrust back into the spotlight when Trump in September suggested owners should fire players for taking a knee. He has since repeatedly called the demonstrations disrespectful, and last Sunday lamented the league has shown “no leadership” in allowing players to continue protesting. 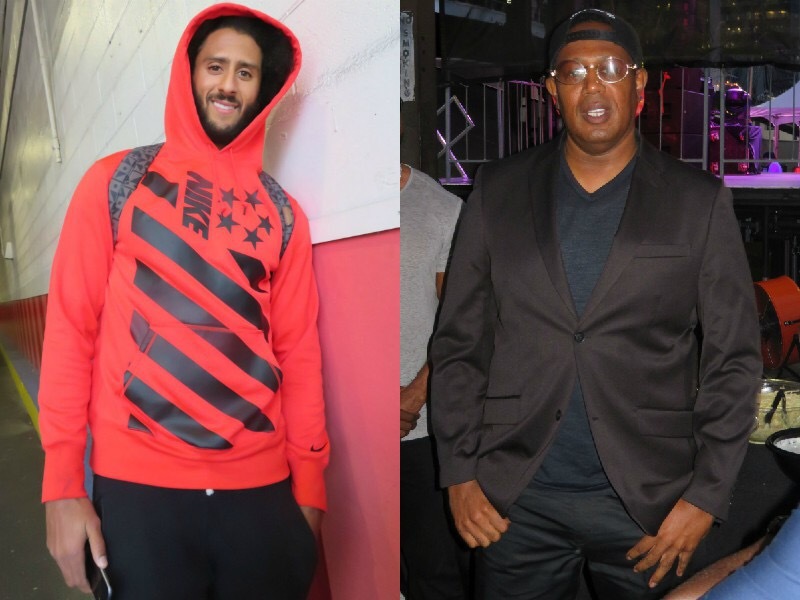 Master P Wants to Team Up with Colin Kaepernick to Form Their Own Football League. Says Colin K don’t need the NFL. This week news broke that Colin Kaepernick is suing the NFL. The one-time Superbowl quarterback accuses the league’s owners of colluding to keep him from being signed by a team. The free agent has not played this season with some people speculating it’s because he started the kneeling protest during the national anthem. In an interview with TMZ, Hip Hop mogul Master P suggests Kap should take another approach to get back on a football field. Are You Really “African American”???? Here is a video that’ll make you question the things around you.